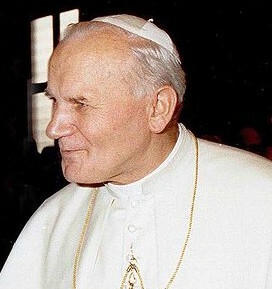 In announcing the Extraordinary Jubilee of Mercy, Pope Francis pointed specifically to his holy predecessor, saying, “Let us not forget the great teaching offered by Saint John Paul II in his second encyclical, Dives in Misericordia,” explaining that he had highlighted how the theme of mercy in today’s cultural milieu has been largely forgotten (Misericordiae Vultus, 11). In the year 2000, as part of his own ministry of announcing the mercy of God, Pope John Paul canonized Saint Faustina Kowalska, through whom the message of Divine Mercy was proclaimed, as the first saint of the new millennium. He also established the Octave Day of Easter as Divine Mercy Sunday, a special day to prayerfully remember God’s loving and tender compassion. This pastor of souls wrote Dives in Misericordia, whose title in English means “Rich in Mercy,” early in his pontificate and it reflects a cornerstone of his magisterial teaching. In the letter, he painted a rich, thoughtful and beautiful picture of God’s mercy, affirming that God is always rich in mercy and that he is always generous in his loving kindness. Jesus is the very incarnation of mercy, attested Saint John Paul (Dives in Misericordia, 2). Calling our attention to the messianic nature of Christ and his saving action among us, he wrote that Christ “reveals God who is the Father, who is ‘love,’ as Saint John will express it in his first letter (1 John 4:16); Christ reveals God as ‘rich in mercy’ as we read in Saint Paul (Ephesians 2:4). This truth is not just the subject of a teaching; it is a reality made present to us by Christ. Making the Father present as love and mercy is, in Christ’s own consciousness, the fundamental touchstone of his mission as the Messiah” (Id., 3). Jesus coming among us had a specific goal – to redeem us from our sin and ransom us by his blood, the Holy Father emphasized. When the Lord stretched forth his hand, touched a person and said, “Your sins are forgiven you,” the power of God and the love and mercy of God took on human form. When he stretched out his arms on the Cross, Jesus showed the infinite depth of his love and fullness of mercy, which triumphs over the power of darkness and over death in sin (Id., 7-8). So it is today in the Church, the loving mercy of God continues to be visibly present because the crucified and risen Jesus takes the gentle forgiveness of an all-powerful God and moves it from the realm of human abstraction to something as real and as concrete as the priest’s hand raised in absolution during Confession. In that sacrament, “each person can experience mercy in a unique way, that is, the love which is more powerful than sin” (Id., 13). Saint John Paul explained that the love of God involves the love of people. It is God’s love for us that is the example and guiding force of what our love for others should be. Specifically, he said that a more urgent proclamation and witness to mercy is needed in the contemporary world. This critical service “is dictated by love for man, for all that is human and which, according to the intuitions of many of our contemporaries, is threatened by an immense danger” (Id., 15). In fact, making present in our world the compassionate love of the Lord is at the foundation of the Church’s mission. “The Church lives an authentic life when she professes and proclaims mercy – the most stupendous attribute of the Creator and of the Redeemer – and when she brings people close to the sources of the Savior’s mercy, of which she is the trustee and dispenser,” taught the Holy Father (Id., 13). Moreover, mercy is “an indispensable element for shaping mutual relationships between people, in a spirit of deepest respect for what is human, and in a spirit of mutual brotherhood” (Id., 14). 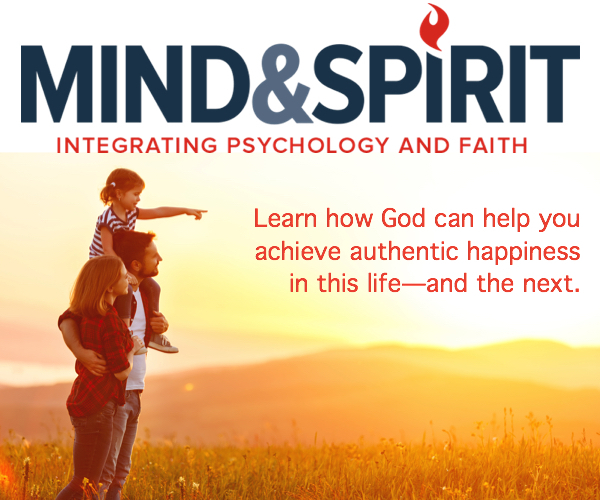 What a world we could help bring about if such a vision rooted in God’s revelation and proclaimed by Saint John Paul were accepted as the starting point for how we deal with one another in our families, our communities, our nation and in the world at large. In the spirit of both Saint John Paul II, who could be called “the pope of mercy,” and our present Pope Francis and also guided by the ancient teaching of our Church, let us continue to be people of mercy, renewing our commitment to regularly ask for the blessing of God’s compassionate forgiveness. Then we ourselves need to be forgiving, compassionate, merciful and kind to everyone we encounter, as we see Jesus – the face of mercy – in them, and they see that in us (Misericordiae Vultus, 1). This is the second in a three-part series discussing the recent popes on mercy.